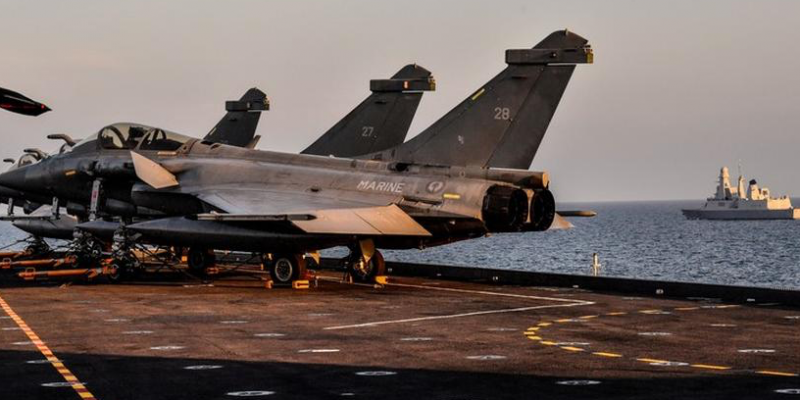 Prime Minister Narendra Modi’s decision, announced out of the blue in Paris on April 10, 2015, to buy 36 Rafale fighter jets from France instead of the 126 asked for by the Indian Air Force for seven squadrons pushed the price of each fully fitted, combat-ready aircraft up by 41.42%. It was the National Democratic Alliance government’s acceptance of the cost of €1.3 billion claimed for the ‘design and development’ of 13 India Specific Enhancements (ISE), and the distribution of this ‘non-recurring cost’ over 36 instead of 126 bare-bones aircraft, that was the major reason for the big increase in price. The NDA government has refused to disclose even to a privileged committee of Parliament full information on the pricing of a Rafale aircraft, contending that its agreement with France on the ‘Exchange and Reciprocal Protection of Classified or Protected Information’ stands in the way of such disclosure. The French government, however, has made it clear that this inter-governmental agreement is there only “to protect the classified information provided by the partner, which could, in particular, impact the security and operational capabilities of the defence equipment.” The restriction clearly does not apply to the disclosure of pricing details. In fact, a scan of news media coverage reveals that there has been selective background briefing by military and civilian defence officials on technical and other supposedly sensitive details of the deal and that these briefings have helped answer some, but not all the critical questions being asked about the Rafale deal, chiefly on the pricing of these medium multi-role combat aircraft (MMRCA). Comparisons have been drawn with the Bofors scandal, by protagonists as well as antagonists, towards different ends. The process of decision-making on a vital defence acquisition in 2015-2016 does bear an eerie resemblance to how decisions were made in 1985-1986; but unlike Bofors, where journalistic investigation was able to uncover corruption disguised as ‘commissions’ paid secretly into Swiss bank accounts, no money trail has been discovered so far in the current case. What seems guaranteed is that we have not heard the last of l’affaire Rafale. The UPA’s 126 aircraft involved technology transfer as an essential part of the project. There is a considerable price India would have paid for technology transfer. Technology absorption and indigenisation doesn’t come free. There is a big cost attached to it. So, the price that India would have paid for tech transfer was embedded in the price of 126 aircraft that the UPA had proposed to buy. This cost would also have been proportionately added to the 18 Rafale jets which would have come in fly-away condition from France. However, the 36 Rafale jets bought by the NDA in fly-away condition does not include the transfer of technology (ToT) costs. Therefore, when we compare the per aircraft cost of 36 jets contracted by the NDA with that of the 18, which UPA would have bought in fly-away condition, it is necessary to reduce the cost of technology transfer/indigenisation embedded in the price of 18 Rafale jets. If this is done, the price of per aircraft under UPA may fall sharply. This exercise has not been done by anyone, not in the least the government which is trying to hide these facets of the deal. If the cost of tech transfer is removed from the UPA deal, then the price per aircraft for 18 jets should become much cheaper than what is being paid by NDA per aircraft. It is this aspect of the price difference – and a considerable one at that – which is still shrouded in mystery. The price difference per aircraft between the UPA and NDA deal would really widen way beyond the 14% arrived at by The Hindu’s investigation. Defence analysts say if the cost of technology transfer is removed from the UPA deal, then the NDA deal per aircraft could get even costlier . “There is a considerable cost incurred on technology transfer as entire teams of foreign manufacturing companies spend some years to help transfer the technology to local manufacturing. In the case of Rafale, the India specific enhancements would cost a lot to indigenise,” says Sudhanshu Mohanty, former Secretary-Defence Accounts, who examined costing aspects of the deal before retiring in 2016. The Hindu’s article also raised the issue of how Rafale’s rival bidder, Eurofighter, had made a fresh offer to NDA which was 20% cheaper. Mind you, even this cheaper offer included transfer of technology as it was made against the UPA’s 126 aircraft deal. Mohanty says the government could have used the Eurofighter offer to beat Rafale further down, if nothing else. Questions surrounding costs associated with technology transfer, India-specific enhancements and the Eurofighter's offer still remain. But it would not have helped Anil Ambani. The truth is that our Scientists and Engineers both in Govt and PSU's are unable to master the art of Advanced fighter Aircraft. We have companies that produce fireworks, but we buy bullets from abroad. We can not even produce armaments to defend ourselves. HAL was the pride and joy of our "Made in India" crusade but has failed, due to mismanagement, and bureaucrats interference in the operation. Unless India is standing on its own defense , India can never be free. The CAG report is out. I need not add anything.